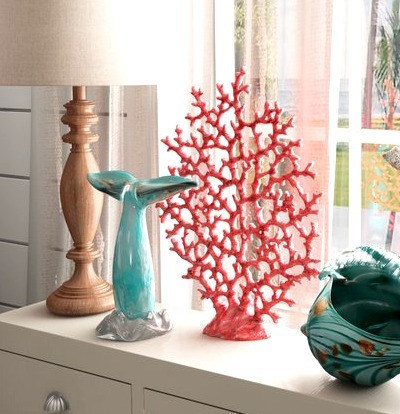 Faux coral sculptures are just as beautiful as the real thing. 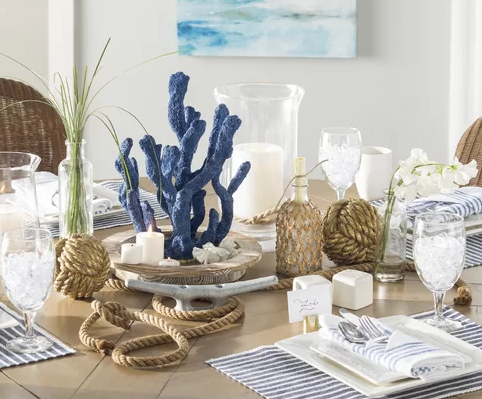 As you might know, real coral and other sea life sold in stores as decor is harvested alive from the ocean, ripped from a reef. Something we don't want to support. So get yourself a beautiful life like replica to enjoy! 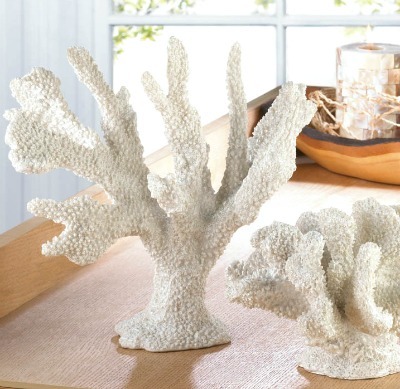 Artificial faux coral figurines and sculptures are available in many different colors, shapes and sizes. 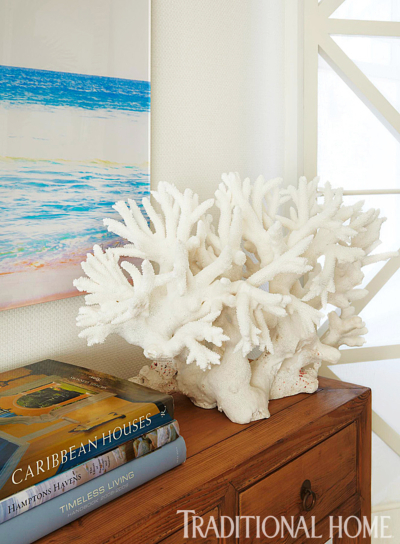 White coral sculpture seen at Traditional Home. 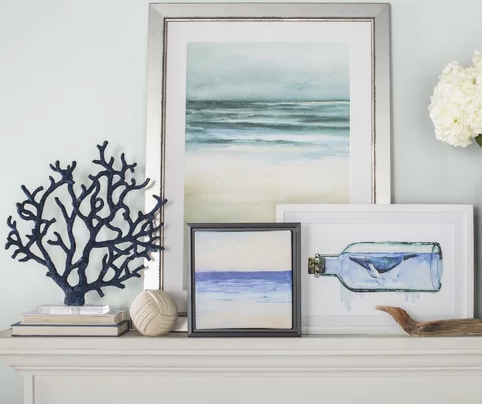 Coral sculptures and coral figurines bring the wonders of the world under the sea to a space in a neutral way that goes with any home decor style. 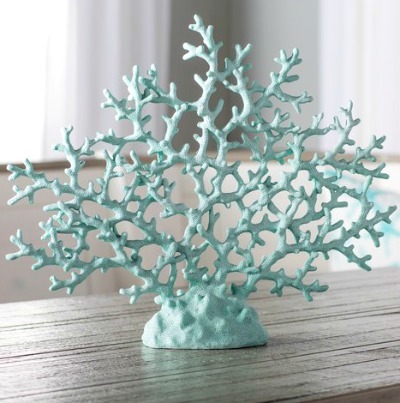 You can find coral sculptures that are very life like, mostly made of resin, as well as corals made of other materials such as metal for a more modern look. 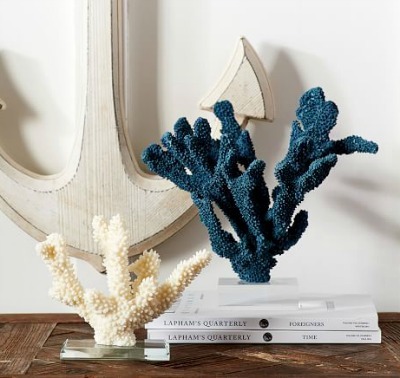 Another option is to purchase coral decor from aqua culture farms. 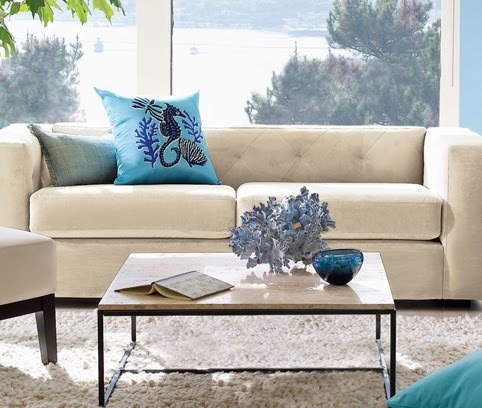 Look for outlets in your area that exclusively sell corals from culture farms. And ask the sales person about the source of their corals to make sure you are not buying those which are harvested from the sea. Coral reefs cover a very small part of the ocean, less than 1 percent. But they contribute hugely to the sustenance of ecosystems needed in the oceans, attracting and supporting diverse sea life. Protecting coral reefs is a critical environmental issue.